The Vehicle Communication & Measurement Module (VCMM) combines all of the functionality of the VMM, VCM II, and MTS 4000/4100 vibration analyzer in an industry leading one-box solution. The Advanced kit includes all components and functionality found in the base kit P/N 164-R9822 along with the advance driveline balance kit and secondary ignition testing capability. 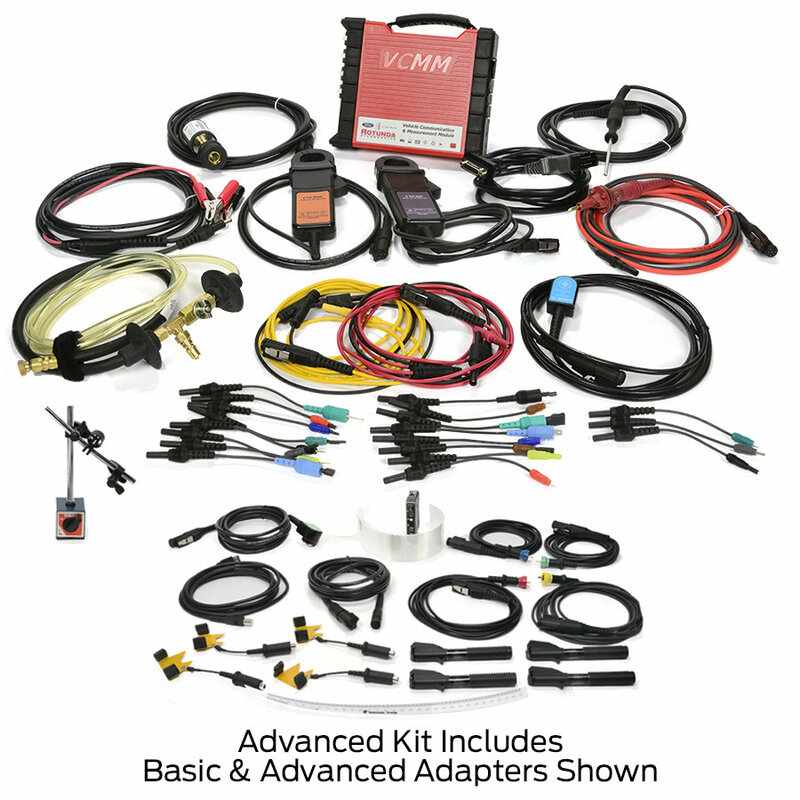 This VCMM Kit gives you complete access to all Ford Trucks, Cars, Gas, Diesel 1996- Current Year. This VCMM kit INCLUDES software dealers license.